Hiddenite is a pale-to-emerald green variety of spodumene that is sometimes used as a gemstone. It is a rare, transparent variety of spodumene, colored yellow-green to emerald-green by chromium: used as a gem. 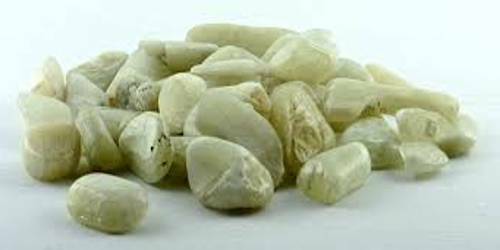 The first specimens of the hiddenite variety of spodumene were recovered about 1879 near the tiny settlement of White Plains, west of Stony Point, Alexander County, North Carolina. It is named after William Earl Hidden, who was instrumental in identifying this new gemstone. The town in North Carolina where this gemstone was found was subsequently given the name “Hiddenite” in honor of the gemstone. Initially, the yellowish to greenish-yellow hiddenites were thought to be gemmy diopside. During the hey-day of hiddenite mining in the 1880s and 1890s, it was also known as “lithia emerald. 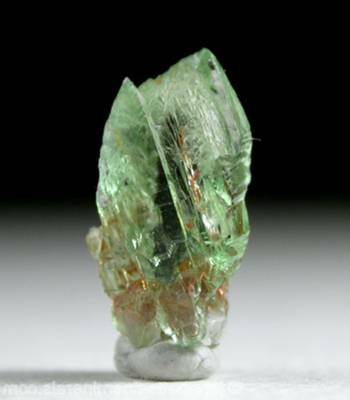 In addition to the North Carolina locality, Hiddenite has also been found in Brazil, China, and Madagascar. Green spodumene found in Afghanistan and Pakistan has excited modest amounts of controversy in the mineral and gemological communities with a debate over whether or not it should be truly considered “hiddenite” as well as claims that the green coloration is induced by irradiation and is fugitive.